5 Walkable Places to Celebrate July 4th - That Are Not Totally Obvi! 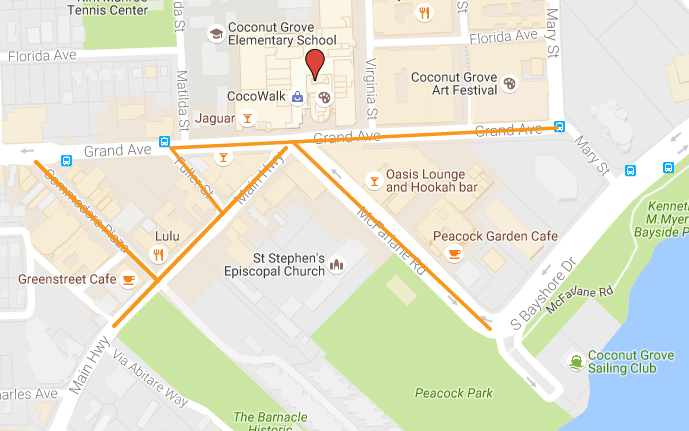 I remember when CocoWalk first opened in the heart of Coconut Grove in the 90s. It was the place to be throughout my high school and college years (yes, I am that old!). Developed in 1990, it breathed new life into the then-struggling historic neighborhood. Interestingly, it’s the streets that surround the project that seemed to have benefitted most; they are the true (organic) magnet these days. While Miami has been experiencing a burgeoning walkable urban renaissance in the last few years, with areas like Wynwood and Midtown generating new buzz, Coconut Grove still stands as an important walkable oasis in the mostly car-dominated Miami landscape. Its quaint tree-lined streets, limestone-clad buildings, and abundant outdoor dining offer a “lived-in,” authentic charm, second to none. Its State of Place captures that, with an overall Index of 99.1 and an impressive balance of destinations, public spaces, and recreational facilities, all in a very aesthetically pleasing, dynamic setting. It’s no wonder I’m always drawn back in by its endearing charm on most of my visits back to Miami. Coconut Grove has several cool events planned from live music at Peacock Park, picnic-ing at The Barnacle, and of course, the requisite hot dog eating contest at CocoWalk. As many LA-ers already know, there's more to Santa Monica than the well-known 3rd Street Promenade. So as a little insider’s tip, we profiled Main Street in Santa Monica. While 3rd Street is a wonderful example of an uber successful pedestrianized street, Main Street has a decidedly more organic feel, with many locally-based, small boutiques, unique restaurants and coffee shops. Its rhythm of storefronts, outdoor dining, trees, benches, and short blocks make it just as pleasant from a pedestrian perspective, without having to block off car travel. It even has some public spaces and recreational facilities that offer a nice respite if you need to take a break from shopping and eating. While it could benefit from a more balanced mix of uses and some traffic safety improvements, it scored near the 95th percentile, with a State of Place Index of 87.5. LA really doesn’t deserve its moniker as the land of the automobile - neighborhoods like Main Street in Santa Monica truly abound; my LA days gave me my first taste of urbanity. And in the decade since I left, it has satisfied the palates of an increasing number of people craving urbanity. 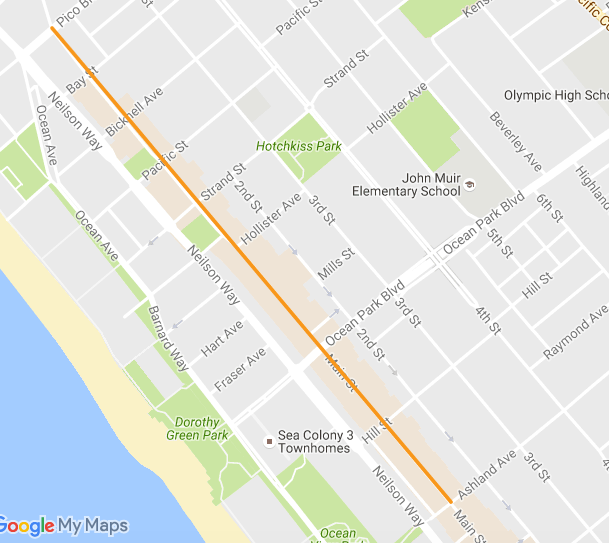 Main Street Santa Monica has an epic 1.5 mile parade stretching from the south end of 3rd Street Promenade all the way to Venice - get those steps in before you gorge on all things American! Bonus, its theme is celebrating diversity this year (which we are totally all about here at State of Place!). Extra Bonus, you can head down to the Beach (or a fancy Oceanfront dining destination) after to catch the fireworks! For the Nerdy Hipster: 14th street, Washington, D.C.
DC's dramatic transformation (and I don't mean the one that was ushered in by the new resident of 1600 Penn) over the past couple decades is one of the most impressively drastic before-after makeovers I've ever had the honor to bear witness to. While I saw the tides of change in full effect during my 4-year stint, my jaw literally dropped during my latest visit this April. Our nation’s capital - urban design wise - is officially awesome, from amazing food to shopping and to the arts. So it was really hard to choose what neighborhood to profile - but we went with the 14th Street district, which, in the time I was there, completely transformed from an edge street sprinkled with a couple of cool shops and restaurants to a bustling, dynamic corridor offering some of the best dining, cocktails, and locally-bred boutiques in town. While 14th street itself can still benefit from some traffic safety improvements, a more balanced mix of uses, and a little aesthetic amping up, with a State of Place Index of 88.2, it still scores in the 96th percentile! With its mix of classically-DC buildings and eclectic, brightly colored facades, strolling down 14th street is a feast for the urban designer geek’s eyes, and a super-cool, alternative place to say happy birthday to America. I lived in the Alphabet City area of the East Village for four fantastic years, so I can undeniably vouch that this respite from the hustle and bustle of stereotypical New York streets, in the East Village has a true neighborhood feel, with narrow, tree-lined streets, pocket parks and secret gardens at nearly every turn, and colorful street art. It’s also one of the most diverse neighborhoods I know, not just in population, but “from an urban design perspective” too: painfully-hip bars secretly hidden behind hot dog shops abut micro-local dive bars; old-school bodegas coexist with organic specialty food stores; cute-as-a-button antique stores commingle with well-weathered hardware shops. 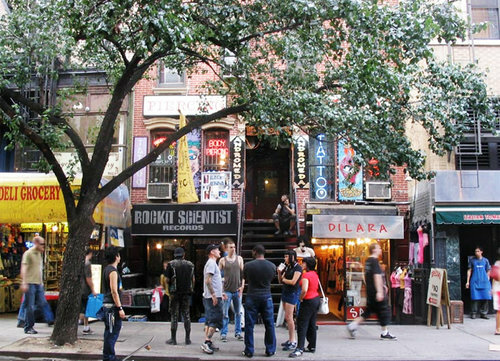 We profiled, 7th, 8th, and 9th, streets, between Ave A. and 3rd Ave - particularly special blocks, great for window shopping, coffee-sipping, and eclectic bites. With an overall State of Place Index of 100, the human-scale proportions of the streets, the endless number of varied destinations, and great outdoor dining (reflected in its scores of 100 for form, proximity and pedestrian amenities, respectively), it’s no wonder I spent so much time aimlessly strolling along these streets! OMG, yet another totally off-the-beaten path 4th of July event I wish I could just beam myself too! It's like two of my favorite EV things got married and had a baby! You totally have to check out Zum Schneider's (quintessential Bavarian beer house) East River party - Zum Kaboom! Ok, so this one might be a little obvious but where better to celebrate our nation's birthday than well, it's birthplace! From the (original) Tea Party to the Shot Heard Round the World, Boston is steeped in revolutionary history. While not its most historic street, its certainly one of the city's most iconic - we love Newbury street! It’s one of our highest scoring neighborhoods, with a State of Place Index of 98.3. It’s dripping with charm, with stunning, human-scaled brick buildings, buzzing outdoor cafes, and cozy, narrow streets, as evidenced by its strong scores on form, connectivity, and aesthetics. While there are indeed many national chain stores, it’s balanced with many distinctly New England boutiques and eateries and taverns that have clearly stood the test of time, reflected by its high score on proximity, especially for a primarily retail district. While this area itself scored poorly on parks and public spaces, nearby Commonwealth Ave has a splendid pedestrian promenade along its median and the Commons, one of the U.S.’s best public spaces, is within a stone’s throw. Now clearly, there are a ton of very traditional events where you can steep in our nation's history, but if you're looking to spend most of your day strolling Newbery or picnicing in the Commons, but still want to catch those fireworks, check out the view from Top of the Hub (it's pricey though!). That's all folks! From all of us here at State of Place, we wish you a very happy, safe, and walkable 4th of July! And of course, if you want to know your State of Place Index & Profile - or better yet, want to figure out how to make your block, neighborhood or city more walkable (while maximizing the bang for the buck and making the investment case to your stakeholders), please schedule a demo or check out our existing database of over 6,000 blocks today! Get Your State of Place Now! Newer PostYour Absolutely Essential Everything You Need to Know About Vision Zero Guide!